MediMiss Can ovarian cysts cause cancer Cancer Cancer Prevention Cancer Symptoms Cancer treatment colon cancer symptoms cyst Cyst Treatments Ovarian cancer Ovarian Cyst Ovary Cyst Symptoms treatment Can Ovarian Cysts Cause Cancer? 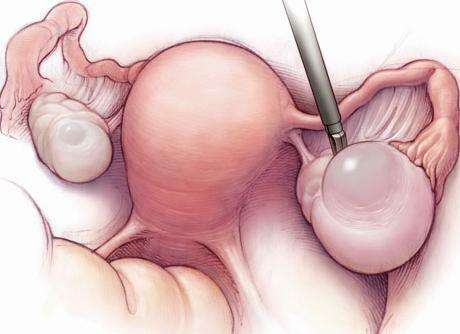 Can ovarian cysts cause cancer? This is a common question many women ask, especially those who have been diagnosed with having ovarian cysts, or even those who merely suspects they have ovarian cysts. If this question concerns you, let's clarify something now: ovarian cysts are very common and affect most women of child bearing age. However, they are mostly harmless and experts estimate only about 15 cases out of a whopping 100,000 (that's only about 0.015%) cases of ovarian cysts turn into cancers. Although the percentage is rather small, it must also be noted that cancerous ovaries tend to hide any symptoms until they are larger. This makes it very important for women to check with their doctors early if they suspect that something is amiss. It is also a very good practice to have annual pelvic examinations as this will allow your doctor or gynecologist to detect any ovarian cysts, polycystic ovaries and even possible cancers early. One of the tests that doctors use to determine whether an ovarian cyst is cancerous is a blood test called the CA-125 test. However, it is important to note that sometimes, some cancer growths in the ovaries do not produce enough CA-125 to be detected by this test so it is not foolproof. And even if CA-125 is detected, it may be also caused by other non-cancerous health conditions. 1. Cardiovascular disease - linked to insulin resistance, decreased fibrinolysis, increased C-reactive protein levels and increased carotid intimal thickness. 2. Diabetes - linked to insulin resistance and exhaustion of the pancreas. 3. Pregnancy related problems - linked to hypertension and pre-eclampsia. 4. Elevated LDL - bad cholesterol. So, to recap: Can ovarian cysts cause cancer? Yes it can, but it is relatively rare. Cancer, as well as ovarian cysts and PCOS have been linked to an imbalanced lifestyle where people are over-stressed at work, eating the wrong kinds of food and practically living a life where their bodies are continuously challenged to maintain its balance. Practitioners of holistic healing and natural living believe that it is when this balance is lost that disease and health complications arise. To complement your current healthcare, you may want to explore natural remedies to reduce or prevent the occurrence of ovarian cysts, PCOS and cancerous cysts.